If you read yesterday’s post, you know that Zack Snyder’s Watchmen was released five years ago! The film is more or less a favorite of ours here in the Hatch. I personally enjoy the film's whodunnit style plot, visuals, and acting. That last point is the focus in this week's scene. 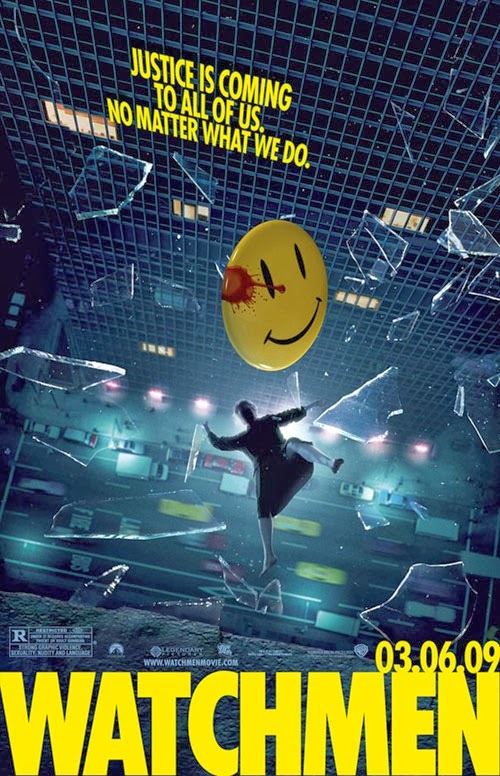 We're about to watch Rorschach (Jackie Earle Haley) square off against Dr. Manhattan (Billy Crudup) after a larger confrontation between the two of them, Nite Owl II (Patrick Wilson), Silk Spectre II (Malin Akerman), and Ozymandias (Matthew Goode). It’s just been revealed that Ozymandias has detonated multiple weapons of mass destruction around the world and that he’s framed Dr. Manhattan for the crimes. However, Ozymandias has convinced the Doctor that this deadly lie is the only way to unite a hostile world in peace. Rorschach is not down with that. First and foremost, great acting in this scene. And under interesting conditions. Billy Crudup (essentially) isn't even in the scene and Jackie Earle Haley has his face covered for a good bit (and one of my favorite moments of his is the "Convenient." line, muffled under that mask). And Patrick Wilson produces one of the most pained howls of rage I've ever heard or seen in a film (after all, his character just watched his partner get reduced to an ink blot), but he's pretty much absent from the scene other than that. Everything else aside, I for one don't agree with Ozymandias. It may seem silly that I feel I have to say that, but I don't subscribe to the more general idea of peace (or good of any kind) based on a lie. What do you guys think?